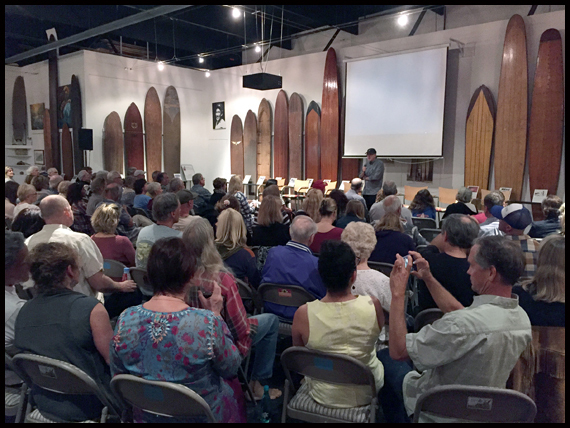 Surfing Heritage & Culture Center: Thank you everyone that turned out for the event! 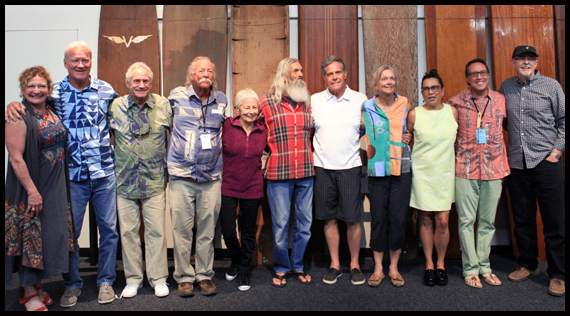 Jericho Poppler, Randy Rarick, LJ Richards, Ron Sizemore, Linda Benson, John Peck, Paul Strauch, Joyce Hoffman, Anna Trent Moore, Barry Haun, and John Engle. 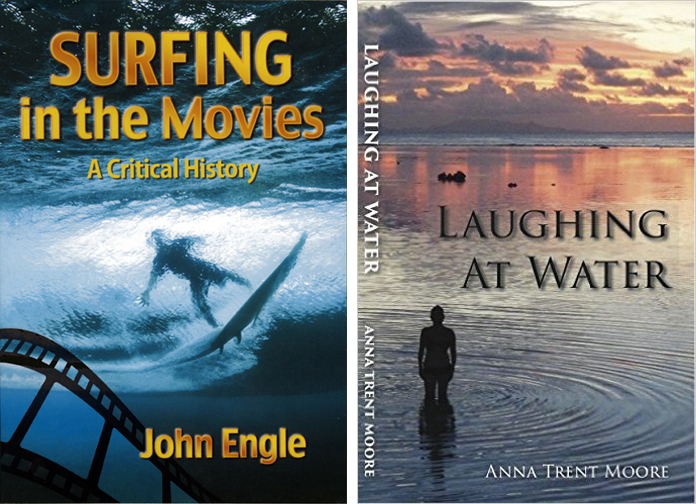 Ron and Anna (Trent) Moore, and Patricia and Walter Hoffman. Linda Benson and Joyce Hoffman. Author, John Engle addressing the Sold Out crowd. Bud Browne's classic film, Locked In had them hooting and the first surfing cartoon, Bobby Bumps, Surf Rider, from Bray Productions, 1917 (courtesy of Tommy Stathes of the Bray Animation Project and Cartoons on Film) had them laughing. 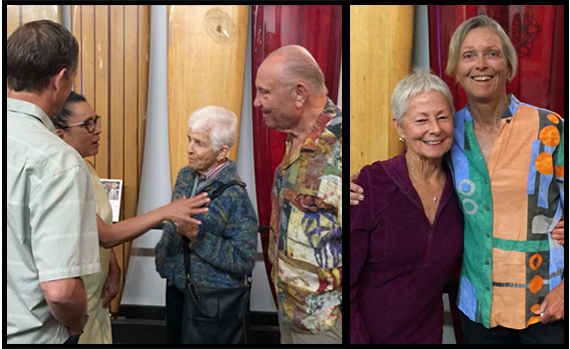 Anna Trent Moore and author John Engle each gave a short talk while special guests from the movie turned out for a post screening Q&A—Linda Benson, Joyce Hoffman, John Peck, LJ Richards, Ron Sizemore, and Paul Strauch and other legends such as Steve and Barrie Bohne, Walter Hoffman, Jericho Poppler and Randy Rarick also stopped by. 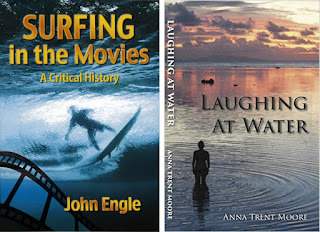 We still have a few signed copies of John Engle's Surfing in the Movies, A Critical History and Anna Trent Moore's Laughing at Water, available for purchase here at the SHACC gift shop.